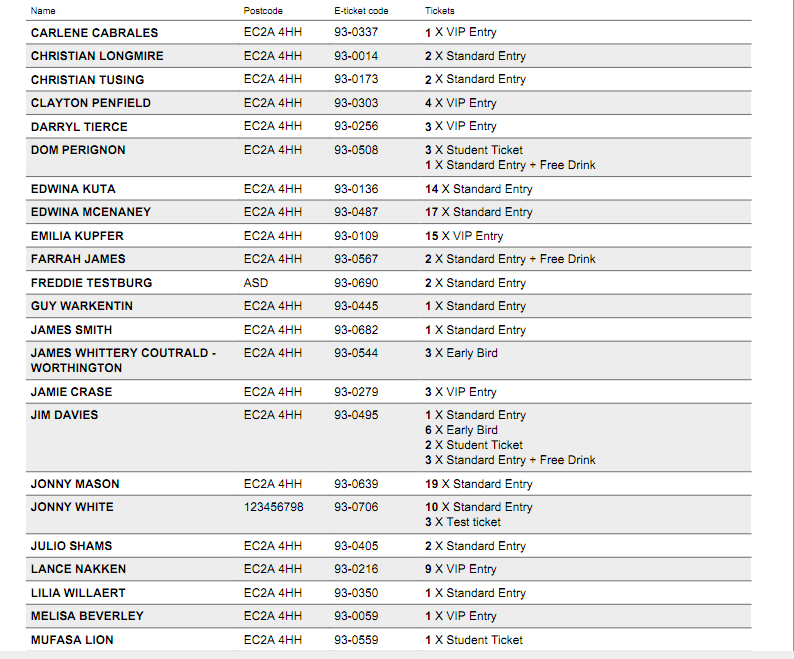 An exported doorlist is a downloadable list of all of the orders received for an event. It is designed to make it easy to check people in and validate their tickets when they arrive at your event. On arrival at the event, the customer should present their six digit e-ticket code or name which you can look up on the doorlist. 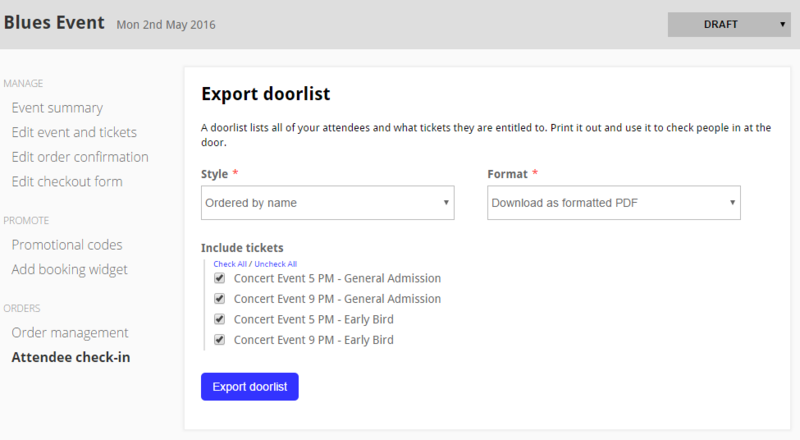 To export your doorlist, navigate to your event from your control panel and click the ‘Attendee check-in’ link on the left hand side and then the ‘Print out a doorlist’ button. Style: Organise your doorlist by customer name or e-ticket code, depending on how you prefer to validate your customers’ tickets when they arrive at the door. Format: Download your doorlist as a formatted PDF ready to print in A4, or as a spreadsheet. Ticket Type: Check or uncheck which types of tickets you would like featured in your doorlist. Finally, click ‘export’, then ‘Click here to export doorlist’. Before exporting a final doorlist, remember to close sales for your event so that you avoid missing any orders.